The history of film preservation, like every attempt to save the past for the future, comprises a long string of tragic losses and miraculous recoveries. We know the stories: Studios destroying their silent films wholesale to recover the silver in nitrate prints; Dreyer’s The Passion of Joan Of Arc, presumed lost, moldering in the closet of a Norwegian mental institute; the fires at Fox’s warehouse in 1937 and the MGM vault 30 years later; James Mason discovering Buster Keaton’s archive in a shed at the back of his new house. There have been brief victories measured against slow, grinding defeats, just as in any field ruled by time and entropy. As the death of film accelerates, the terms and stakes of the battle are changing rapidly, in ways that aren’t well understood outside the small community of archivists working directly in the field. Digital technology offers a chance for perfect, lossless preservation, but only at significant financial cost, and higher risk of catastrophe. Unless the unique challenges of digital preservation are met, we run the risk of a future in which a film from 1894 printed on card stock has a better chance of surviving than a digital film from 2014. 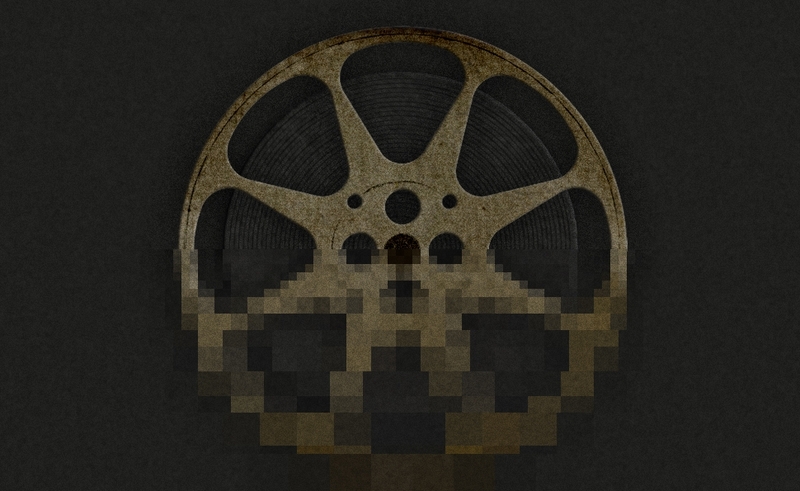 Conversations about digital archiving can be difficult, because they have a tendency to turn into proxy wars about the death of film. Feelings on the subject run hot: One pro-digital archivist I spoke to mentioned overcoming the “mythopoetics and nostalgia of cinephilia,” and you don’t have to look far to find people conflating analog media with “the human touch.” Nobody’s wrong, exactly: Photochemical film still looks better than digital, and it’s still going away because there’s a cheaper way to do it. Preserving and re-presenting an art form as technology-dependent as cinema raises a lot of complicated questions. (Complicated, but not new: When’s the last time you saw a dye-transfer print of The Godfather or Casablanca on nitrate?) These are important concerns—but even if 35mm survived as a viable format for a thousand years, we’d still need to talk about digital preservation. Step away from the hard cases. In the United States, no theatrical audience has ever seen a 35mm print of The Wolf Of Wall Street. If the purpose of archiving is to allow future generations to experience the film the way audiences did on opening weekend, the digital version is the one to keep. In fact, even for recent films that were photographed and projected on 35mm, the best archival version is almost always digital. In all but the rarest instances (Christopher Nolan, basically), modern productions that shoot on photochemical film are edited and color-corrected digitally. The end product of the production pipeline isn’t an analog print, but a file known as the Digital Intermediate (or Digital Source Master). This is the digital equivalent of the negative in analog film, and it’s used to produce any distribution copies, whether they’re Digital Cinema Packages for theatrical projection, Blu-Rays and DVDs for home release, or 35mm prints. In the long term, the DSM has one huge advantage over a photochemical negative: as long as the data is preserved, it’s perfect. The sequence of ones and zeros that adds up to The Wolf Of Wall Street is pure information, and it won’t degrade over time the way analog formats inevitably do. If an analog version is preferred for aesthetic reasons, producing a new analog print from the digital information will yield better results than trying to preserve a photochemical print over the very long term. But in the near-term, preserving that information is significantly more difficult and expensive than preserving film. The added costs haven’t been a secret—as early as 2007, when the death of photochemical film remained an open question, the Science and Technology Council of the Academy of Motion Picture Arts and Sciences surveyed the major studios and published its findings in a report called The Digital Dilemma. The council only looked at major studios: companies that have the money to invest in preservation and a financial incentive to make sure they can keep earning from their libraries as new formats and distribution methods are developed. If anyone was prepared for digitization, it should have been the studios—they were behind the push for digital theatrical distribution to begin with. And yet what the report found was an environment in which long-term planning for preserving digital information was not being done, in which the existing technology wasn’t adequate for archival needs, and finally, in which film preservation would require “significant and perpetual spending” far above what was necessary for analog preservation. The added cost and difficulty arise from a major conceptual difference between digital and analog preservation: In digital preservation, the media isn’t itself the object that needs to be preserved. The original camera negative of a film is a unique, irreplaceable object—any copy is inferior to the original. With a digital production, it doesn’t matter in the slightest whether the digital files are written to a hard drive, magnetic tape, flash drive, or Jaz disk. Archivists can use whatever media best suit their needs. But right now, there aren’t any great options. The most commonly used format for digital archiving is Linear Tape-Open (LTO) technology, a magnetic tape format that is most commonly used for enterprise data backups. LTO tapes are more stable than hard drives, which are subject to mechanical failure, but they’re far from ideal. Although it’s estimated that they have a 15-to-30-year lifespan, most studios assume a practical lifespan of five years. It isn’t simply an issue of tape degradation, either: The drives that read the tapes are also subject to obsolescence. Since 2000, new generations of LTO technology have been released every two years or so—new tapes and new drives—and they’re only backward-compatible for two generations. So a film that was archived to tape in 2006 using then-state-of-the-art LTO-3 tapes can’t be read by the LTO-6 drives that are for sale today. In other words, the tape drive that created an archival copy of Skyfall in December 2012 wouldn’t be able to read the original 2006 copy of Casino Royale—the technology becomes obsolete faster than James Bond is recast. To read one of these tapes, even if the data is in pristine condition, you’d have to find an older drive. The practical result of this is that a digital film archive needs to invest heavily in data migration to maintain its assets. Every five years or so, each film needs to be copied to new media, in a constant race against magnetic-tape degradation and drive obsolescence. This requires time and money: new tapes, new drives, staff to copy and verify the data. It’s worth it to studios, as long as they continue to make money from their libraries. But a studio that stops migrating its data will lose it quickly. If the last decade has taught us nothing else, it’s that our system rewards executives who make horrible long-term decisions for short-term results. (See Jamie Dimon.) In the analog world, most of the cost of preservation is paid when the archival print is created. But for a digitally preserved film, the cost of migration shows up every five years. Postponing it is going to be tempting, especially during buyouts, changes in management, or any of the near-constant corporate turmoil that puts huge short-term pressure on cost-cutting. Films that continue to make money are probably safe, but for bombs—whether they were genuinely terrible or interesting failures—the incentives are all wrong. Putting a significant part of our cultural heritage in a system where a five-year gap in funding means catastrophic, irrevocable loss seems to guarantee we’ll lose some of it. "It’s a matter of years, not decades, before the digital copy is the only copy, and that means assets can be permanently lost on a very short timeline." Worse still, if the studio’s copies of a Digital Source Master are lost, another copy isn’t likely to appear. The Digital Cinema Packages that are distributed to theaters are encrypted with keys that will only work for a limited period of time—after the key expires, the data is irretrievable. So the days of a pristine print being found in the basement of a small-town theater are over—at best, trash-pickers would find hard drives with files they couldn’t play back. Even if they found a way to crack the encryption and extract the data, the DCP is compressed—like Blu-Rays and DVDs, not all of the image information in the DSM is present. There’s a failsafe: currently, studios also store a 35mm print, either a color negative or a black-and-white YCM color separation. This doesn’t preserve all of the information as perfectly as the digital copy, but if properly stored, this copy can last 100 years before it begins to deteriorate. However, producing the film copy is already expensive, and as the laboratories capable of producing film prints disappear, costs will continue to rise. It’s a matter of years, not decades, before the digital copy is the only copy, and that means assets can be permanently lost on a very short timeline. The risk could be somewhat mitigated if LTO tapes didn’t degrade so quickly. One of the conclusions The Digital Dilemma reached was that the motion-picture industry should push for the development of a true digital archival format, capable of surviving 100 years of benign neglect. From the perspective of a studio archivist in 2007, this didn’t seem like an unreasonable expectation. Up to that point, after all, films had been archived on a storage media that had been specifically designed to store motion pictures. Because the studios were major purchasers in a limited market, if a new need for the media arose (say, for instance, studios wanted a medium that wouldn’t burst into flame), research and development would move in that direction. But everyone backs up data, and neither the manufacturers of LTO tapes nor the bulk of their clients have much incentive to develop a true archival format. Tape and drive manufacturers thrive on planned obsolescence, just like the rest of the computer industry. And companies who purchase LTO tapes for backups not only don’t need the data preserved longer than the seven years required for Sarbanes-Oxley compliance, they don’t want it preserved longer, because as long as the data exists, it’s discoverable in lawsuits. It’s possible that a digital format that meets these archival requirements will someday be developed—but it’s unlikely to happen anytime soon. To be clear, we haven’t entered a new age of lost film, at least for studio productions. (Independent film, where filmmakers are less likely to have the resources to pay for data migration, is a much riskier area.) But even at the studios, the margin for error is smaller than it’s ever been. So why aren’t cinephiles more worried? Partly, it’s because the issues with digital preservation became apparent while most people who cared about the history of film, archivists included, were fighting to keep 35mm alive. Digital-media weaknesses were seen as ammunition for that battle, not problems to solve. There’s a deeper reason, however, and I think it comes down to narrative. The stories of film preservation from the analog era are stories: lost treasures resurfacing years later, like Tutankhamun’s Mask. The prints James Mason found were physical objects that Buster Keaton himself handled and viewed. Over time, mechanically reproduced art can acquire an aura—as long as it’s a unique, analog reproduction. But digital cinema—media severed from content, every copy exactly as good as the original—will never have this quality. Right now, aura is a crucial part of the way we think about all types of historical preservation—and part of what draws people to historical enterprises to begin with. No one is ever going to tell the story, years from now, of the tape-copy operation that gave The Wolf Of Wall Street five more years. But digital cinema—our cinema—won’t survive for some future Howard Carter to find generations from now. It will be saved, if it is saved, by an older kind of archivist: monks in scriptoria, loading tapes into drives, painstakingly transcribing old data to new media, outrunning history.